Where the tech grow is. 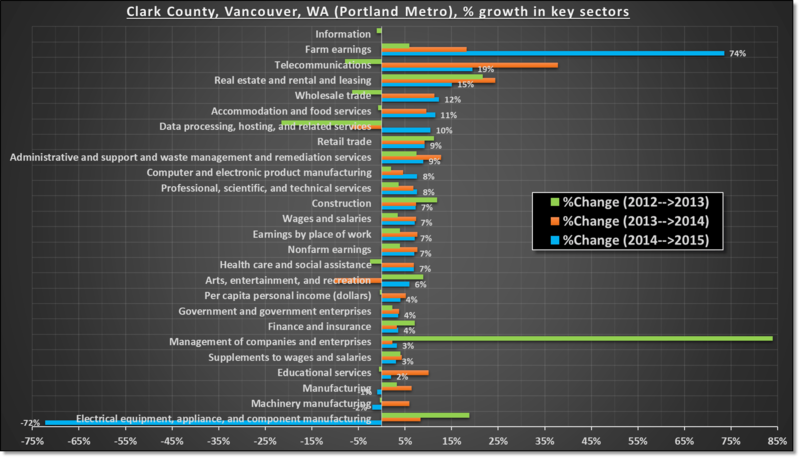 Economic growth by key sectors for King county, WA (Seattle Metro) & Clark county, WA (Vancouver, Portland Metro). 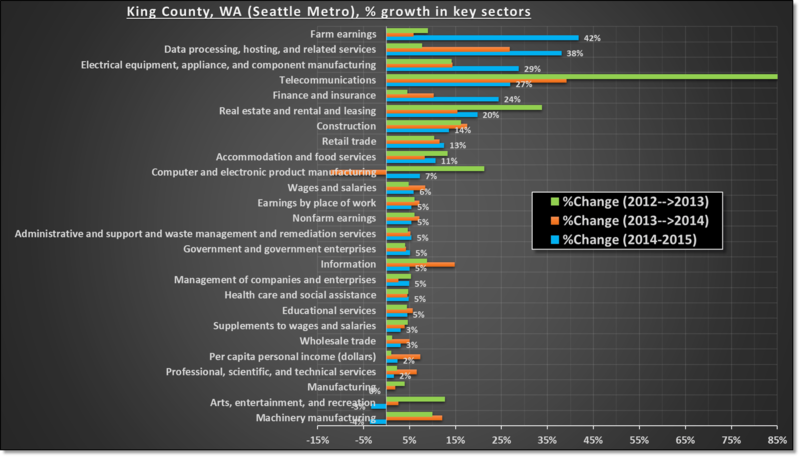 Some of the most dominant sectors with strong growth in the Seattle are in high tech and finance. Seattle has headquarters of Amazon, Microsoft & Boeing (in Snohomish county which is not included in this chart) & all three have seen impressive growths in past few years. Washington state has a strong agriculture industry & Seattle metro is the hub for food processing & export to Asia. After the Port of Portland closed couple of years ago, Seattle has become the export hub for Pacific Northwest states. On the other hand, city of Vancouver – in Portland metro – saw most growth from farming, real estate & hospitality. The city has several finance & tech companies but growth has been slow.